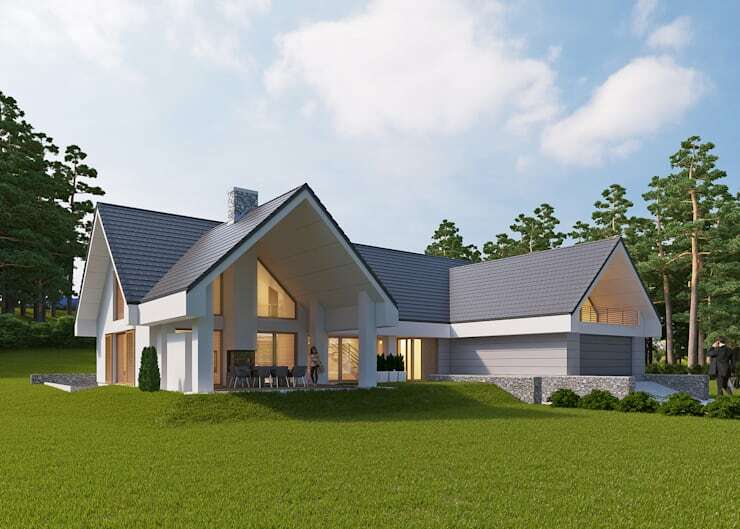 Successful family home design all hinges on crafting a usable property that feels welcoming, uses interior space proportionally and has a natural connection to the garden, which is why we think that the architects that created this particular house have redefined the genre! You'll love the large size (220 square metres or 2,300 sq. 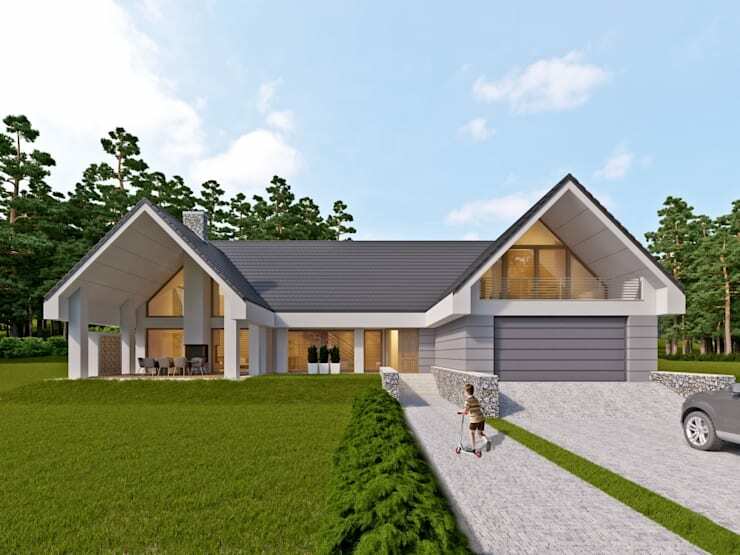 feet), contemporary facade and the integrated double garage featured here, so if you've been thinking of building your own home in the future, be sure to pay close attention here, as there's plenty of inspiration to be had! Wow! We told you this was an impressive home, but would you just take a look at this fantastic facade? A generous size, this home has really made the most of an understated colour palette in order to keep things looking chic and more modest. The integrated terrace, under a roofing section is simply brilliant! Symmetrical homes really appeal to our need for order and neatness, which must be why we are so in love with this design! Matching pitched roof elements offer such a fantastic jumping off point for interesting additions, such as a large garage and the terrace we've already admired and the gardens are a wonderfully generous size as well! Talk about perfect for kids! There just isn't a bad view of this fabulous family home! 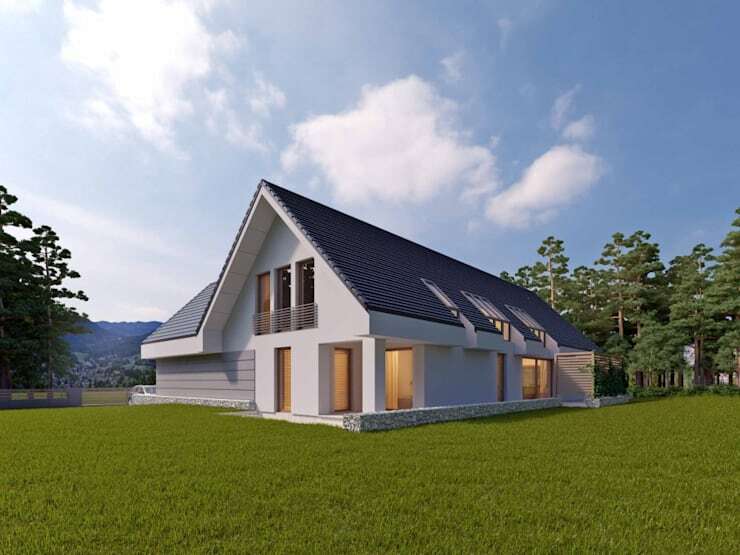 With numerous terraces and balconies in place, there is an intrinsic connection to the surroundings, which we think is vital for any family home, but can we admire the extra dormer windows on the side as well please? Utterly incredible! It's time to go inside! We could already tell, from the outside, that the interior was going to be the most picture-perfect open-plan design and wow, we are in noway disappointed! 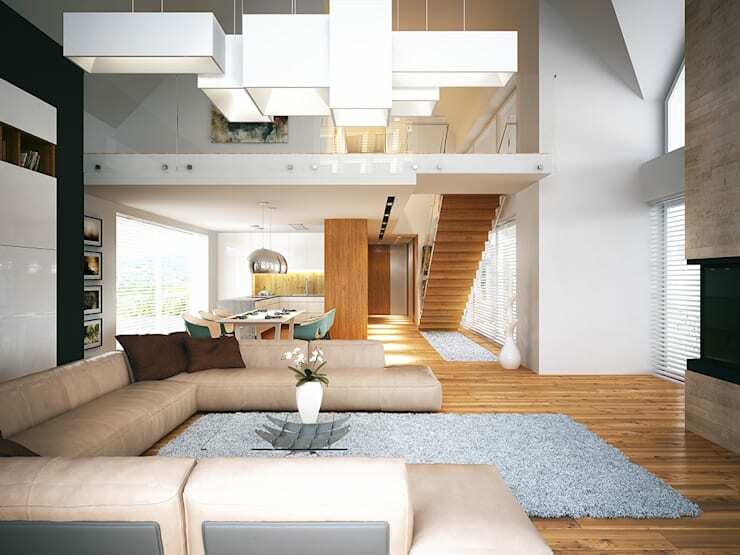 With private rooms up on what looks like a mezzanine floor, the entire ground level is one spacious living area. 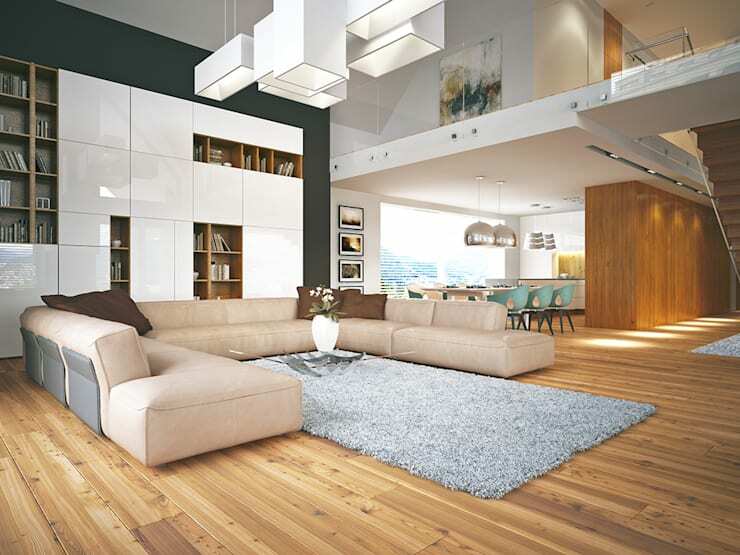 Wood flooring really helps to amplify the amount of room here and adds such a natural and warm ambience too. We are always such fans of open kitchen and dining areas, as it makes perfect sense to be able to quickly transport hot food from the oven to your family dining table. 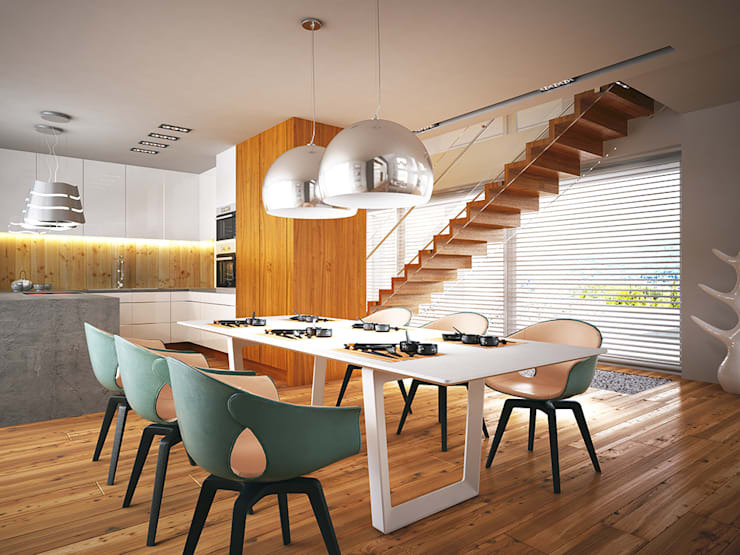 It's a clever touch to keep the kitchen storage simple and white, so it blends into the background, while showcasing exciting chairs and more stunning wood! Woah! Just look at how dazzling this upper level is! Keeping the structural elements white has allowed for such a cohesive, fresh an unimposing finish and are we going crazy, or is that an incredible modernist light fixture in the middle of the room? We honestly think that this is the most phenomenal family home, don't you? For even more family-inspired home design, take a look at this Ideabook: A Chic Comfy Family Home. Can you picture your family loving a home like this one?